It's interesting and informative message coming from the anonymous IT professional working outside the country claiming that people can file case against COMELEC and Smartmatic. We saw this shared post from Facebook and now its going viral. We found the said 'message' from the page of the Ex-DILG chief Rafael Alunan III, He is not the original source, he only shared this post on early Saturday morning, May 14, with his personal introduction message. 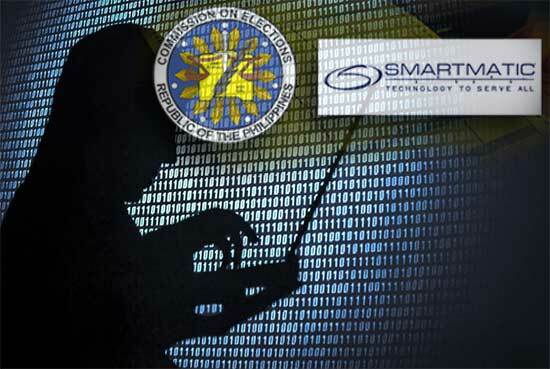 "THAT SMARTMATIC OPERATOR WAS CAUGHT RED-HANDED BY AN ALERT PPCRV IT TECHNICIAN AND ALL HELL HAS BROKEN LOOSE. IT EXPERTS ARE COMING FORTH TO CONTRADICT COMELEC THAT THERE WAS "NO HARM DONE." READ THIS IN A RUNNING THREAD. I suggest reading this.....and analyze if this has some technical sense....."
A very interesting and informative message from an anonymous IT EXPERT. MABUHAY PO KAYO!!!!! PARA SA TAUMBAYAN!!! READ AND LEARN! PLS. SHARE AND VIRAL THIS POST! Hello, we are an IT professional working outside the country in a large company. The reports says, PCOS/VCM used MD5 hash Key. Hmmm. I can see some concerns here, using MD5 hashing? You can google it, you can easily decrypt it. Though you can easily decrypt it, it's still impossible for you to grab and extract it, unless you have a direct access to the system. Firewalls, IDS, IPS, and all other security perimeters are in place. So if you are a hacker? Good luck to you my friend! The only one who can do it is someone who really knew their way around the system or some one that has an inside knowledge on how accessing the system. Going back to the topic. What I can see here, it seems the transmission between the Server and the PCOS/VCM has been breached. The actual VCM, that has a unique MD5 hash key connecting to the Server has been replaced with an unknown VCM. This unknown VCM has a different data but has a file with the same filename used on the application database in the Server. Since this VCM is a different machine, a unique MD5 hash key algorithm will be used. Here's possibly what happened: Our good friend, who has an access to the server, did run the script to install the MD5 hash key similar to the unknown VCM into the server. Once the MD5 hash key has been installed, the old VCM will not be able to throw the data back to the server as the server is now using a different MD5 hash key. This time the old VCM has been replaced by this unknown VCM and this unknown VCM has now the right to throw it's data to the server. Easy right? During this change activity, disruption on the transmission most likely will occur. End nodes such application host, etc., will be prompted with an unknown error, the programmers will thought there's a code issues with their Applications. But if you can see it, it's just a simple migration of data connection between the two VCM connecting the Server. So then, Mr. Comelec, you explained to the public the change being done was only a breakfix for "?" to "ñ". How about those MD5 hash concerns? What do you think on this viral message coming from anonymous IT professional? Please share your thoughts below. Comments or suggestions about "Anonymous IT Expert revealed truth on Smartmatic tampered script" is important to us, you may share it by using the comment box below.